Expedia has some excellent Munnar package deals Bundling your bookings is one of the simplest ways to save time and money — and get your journey off to a flying start. By securing a package deal on Expedia, you can save as much as 21.4%*. With just a few clicks, you can book everything you'll need for your next holiday via our extensive database. And — with more than 400 partner airlines and 321,000 properties from all around the world, you'll have the freedom to be fussy! Can't wait for your trip to Munnar? Need some tips about what to do while you're there? That's what we're here for! If you wouldn't mind a little spiritual enlightenment on your travels, visit Mount Carmel Church. You never know, you might even discover the answers to a few of life's most essential questions! Travellers in this destination have heaps of options. Are you looking to relieve the stresses of your busy, urban life? Savour the fresh air as you head off on an adventure through Eravikulam National Park. Still have some time on your hands? Wouldn't mind adding some greater meaning to your adventure? Make a pilgrimage to St. Thomas Marthoma. No matter your beliefs, it's a wonderful place to observe and better understand the local religion. 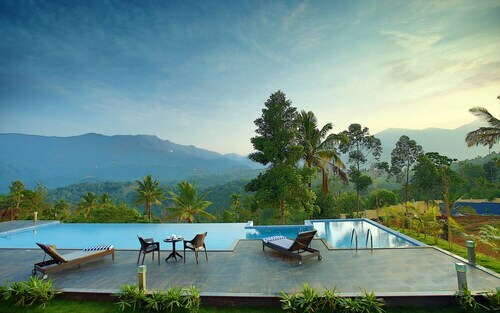 After a long day of wandering in Munnar, put your feet up in one of 68 properties. The best luxury getaways and cheap holidays are only the beginning at Expedia. Begin your holiday on a lavish note by slipping between the high thread count sheets at The Panoramic Getaway (Anachal-Munnar Road). Alternatively, the Chai Guest House Munnar (Near St. Lourde Church) is a great place for the budget-conscious traveller to get their shut-eye. Preparing for your trip to Munnar? Wondering where you'll be flying into? Cochin International Airport (COK) is a convenient option. Once you've hit the tarmac and found your way out of the arrival gate, you'll be 45 miles (72 km) from all the main streets. Visit this tranquil hilltop church to enjoy pleasant views across Munnar’s rooftops and the green landscapes of the surrounding countryside. Enjoy breathtaking views as you ride over rugged hills, across deep valleys and through enchanting forests on an elephant’s back. Tour tea estates, walk amid spice plantations and hike to lookouts set above the glorious terrain of Kerala’s Idukki District. 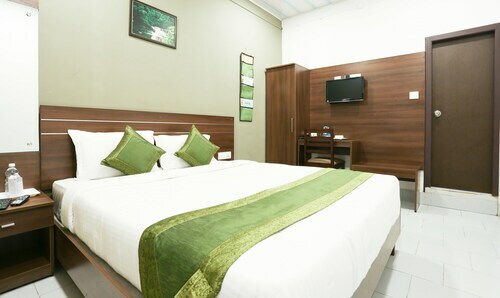 Located in Munnar, this family-friendly hotel is 0.9 mi (1.5 km) from Dreamland Children Park, and within 9 mi (15 km) of Attukad Waterfall and Tata Tea Museum. Mount Carmel Church and Carmal Church are also within 9 miles (15 km). 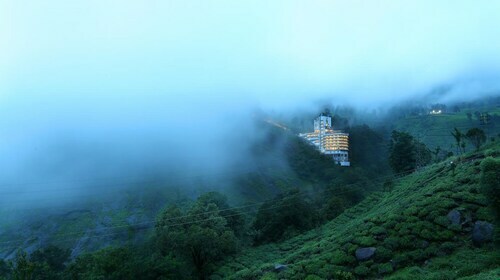 Situated in Munnar, this luxury hotel is 0.5 mi (0.7 km) from Attukad Waterfall, and within 6 mi (10 km) of Mount Carmel Church and Munnar Juma Masjid. Rose Garden and Carmelagiri Elephant Park are also within 9 mi (15 km). Situated in Munnar, this luxury hotel is 2.7 mi (4.3 km) from Attukad Waterfall and within 6 miles (10 km) of Mount Carmel Church and Carmal Church. Munnar Juma Masjid and St. Thomas Marthoma are also within 6 miles (10 km). 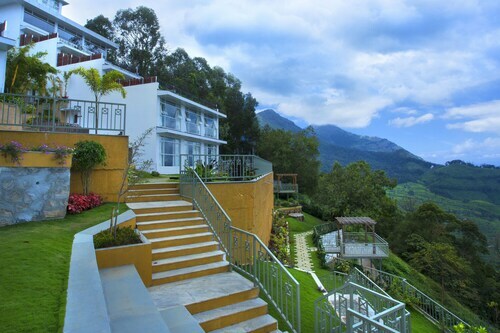 Situated in Munnar, this hotel is within 1 mile (2 km) of Mount Carmel Church, Carmal Church and Munnar Juma Masjid. Tata Tea Museum and St. Thomas Marthoma are also within 2 miles (3 km).